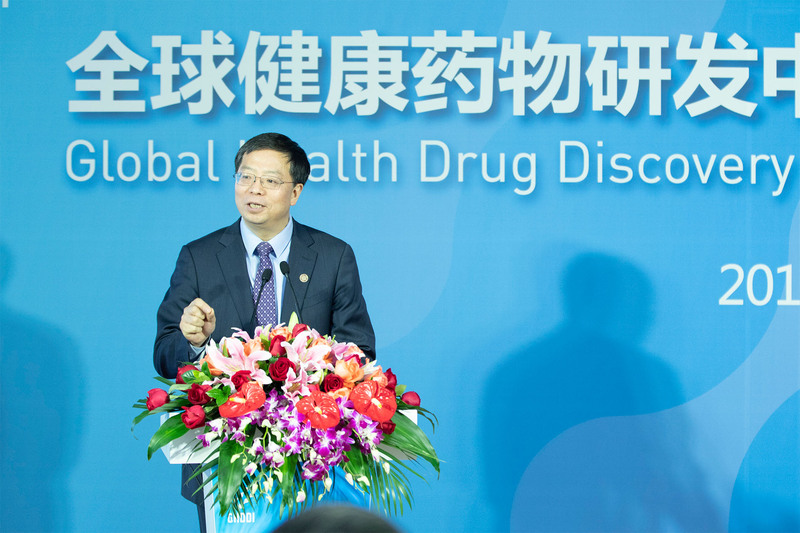 Beijing, November 7th, 2018 – To celebrate the opening of its new state-of-the-art research facility, the Global Health Drug Discovery Institute (GHDDI) hosted a grand opening event in Beijing. 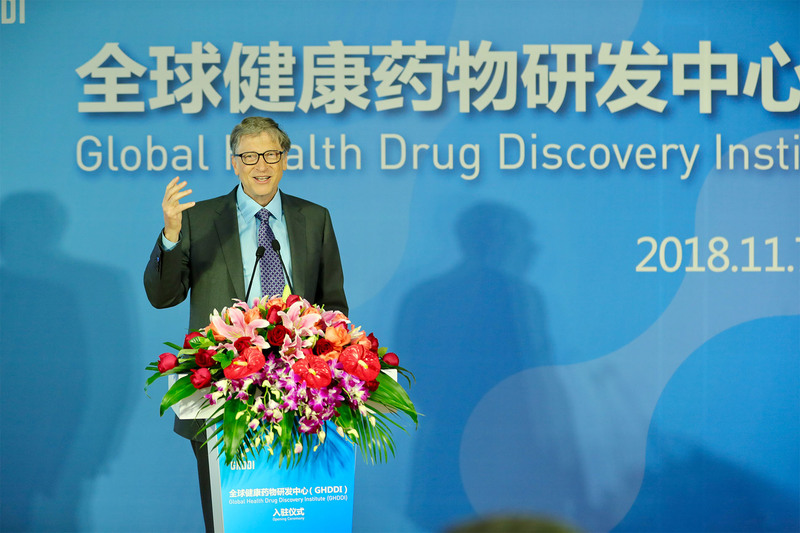 CHEN Jining, Mayor of Beijing Municipality, QIU Yong, President of Tsinghua University, Bill Gates, Co-chair of the Bill & Melinda Gates Foundation and DING Sheng, Institute Director of GHDDI attended the ceremony and unveiled GHDDI’s official logo plaque. 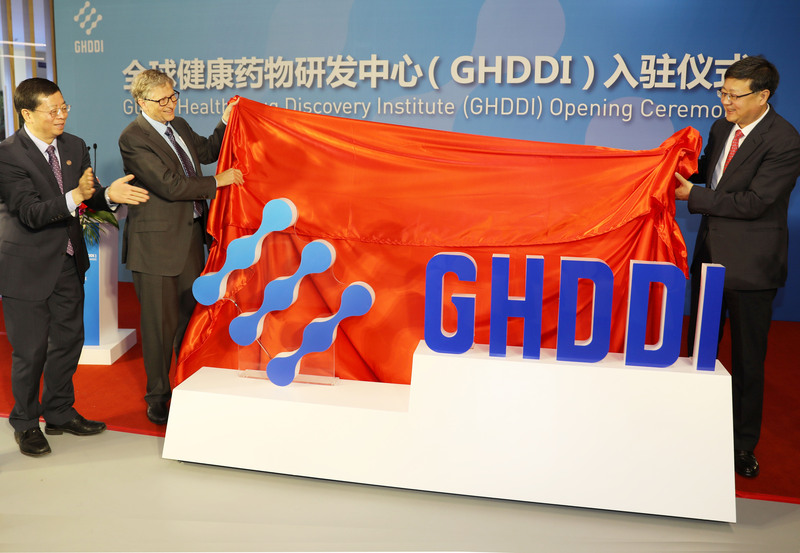 Moving into the new facility marked a new chapter for GHDDI, a young drug discovery institute. GHDDI, established in Beijing in August 2016, is an independent, not-for-profit organization devoted to addressing global health challenges and tackling the most pressing disease crises that affect the world’s poorest populations, such as tuberculosis, malaria and other parasitic diseases. Being the first-of-its-kind in China, GHDDI adopts a unique trilateral partnership (Public-Private Partnership, PPP) that drives institutional innovation, multi-sectoral alliance and global collaboration. 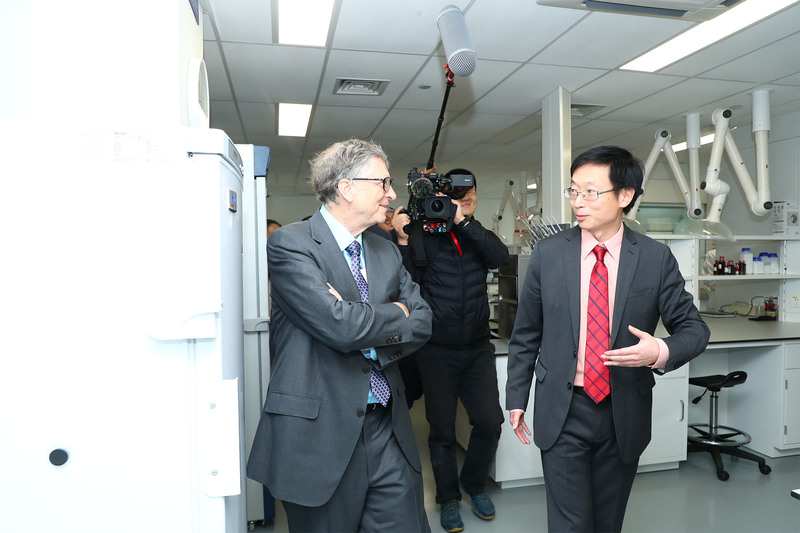 The Institute’s three founding partners – Beijing Municipal Government, Tsinghua University and the Gates Foundation – have worked closely to provide various resources as well as policy support. In March 2017, Bill Gates participated in the Inauguration Ceremony of GHDDI. “It was not much more than a blueprint in our minds for a new model of innovation in global health drug research and development,” he said, “Fast forward 18 months and we are standing in front of this beautiful, modern laboratory where amazing discoveries are being made. The GHDDI team should be congratulated for overcoming many obstacles and building a high-caliber and dedicated team that is now tackling some of the toughest global health diseases”.